Since my youth I have spent much time with nature, enough time to know that she must be both respected and preserved. She is a system of contrasts, both lovely and cruel, serene and changing all at once. Few other sources provide such inspiration for my music. I feel every emotion in her presence, reflected in the various styles and contrasts of this album, Wilderness. This music is about real places-uncommon areas where man's influence is limited. 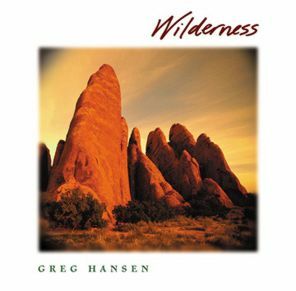 All of them are national parks, wilderness areas, or other natural wonders-places where the "wild" part of the word "wilderness" is an important ingredient. With nature, and this album, you can expect the unexpected.